The ‘Nominal List’ of the passengers on the “Aurora” listed him as John Ferries (or Fernes? ); a carpenter aged 30, from Bath, Somerset. His religious denomination was given as Baptist. John could both read and write and owned a Bible. 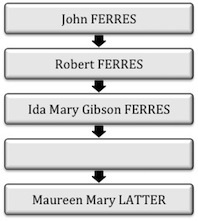 The ‘Disposal List’, however, recorded him as John Ferris and added that he left the ship to go to Mrs Ferris in Melbourne (mother). It is probable that John had originally planned to accompany his mother Esther Ferres and other relatives on the “Cornwall” four months earlier but had needed to remain in England due to the death of his first wife, Julia Harriet Langdon “without issue” on 17th April 1848, 11 days before they sailed. John Ferres had been born on the 1st October 1818 in Bath, Somerset, the 5th child of Robert Ferres and Esther Chancellor. His father, Robert, a printer by trade, died when John was only 3 ½ years old. John also trained as a printer and ran a ‘General Publican Office’ at 17 Northumberland Place, Bath in which he sold ‘magazines, newspapers and publications of every description’. He advertised himself as a Member of the Bath City Lodge. Although he was listed as a carpenter on board ship, there is no evidence that John had the requisite skills or that he ever intended to work in that trade. What is clear is that he gained employment as a compositor at the Melbourne Morning Herald very soon after arrival in the colony and, within months, became manager. 1851 was a big year for John Ferres. 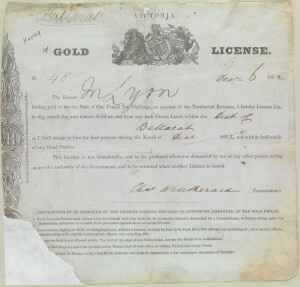 He married Mary Davey on 23rd January and was appointed Victorian Government printer on 8th November. As Victoria grew, so did its printing needs. John’s staff of 6 grew to 278 by the time he finally retired in 1887. 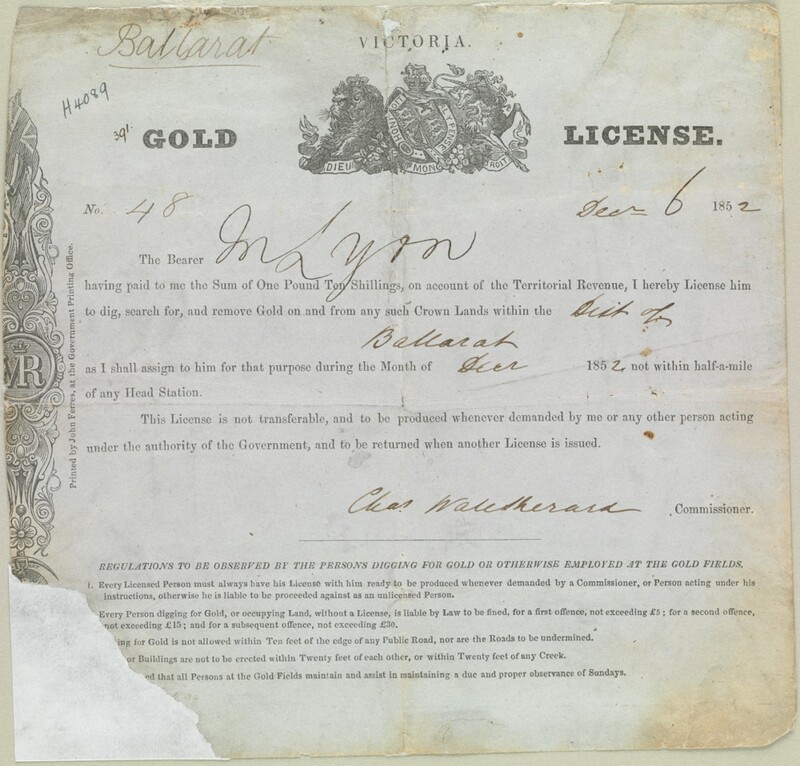 He was responsible for printing the first Government Gazette in 1852 and many other official documents, including the Gold Licenses so hated by the miners in the 1850s. John and Mary had 7 children: Robert (1852), John Davey (1854), Elisabeth (1855), William (1857), Mary (1859), Arthur Wilton (1863), and Ebenezer (1865). 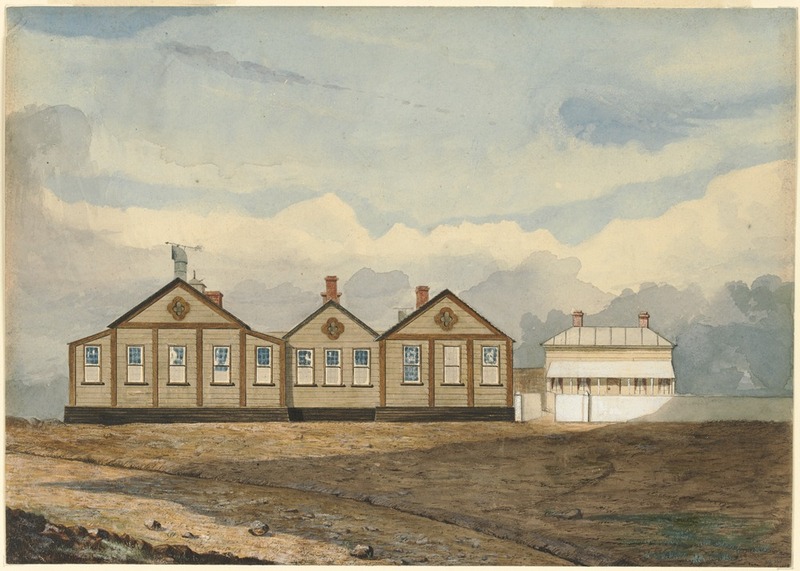 The family lived on site for many years, moving to ever-larger premises as the Government Printing Office grew. The Ferres family probably lived in the house beside the main building. After his retirement in 1887, John’s nephew Robert Smith Brain became Government Printer. John and Mary Ferres then lived in Oxley Rd Hawthorn where, according to his death certificate, he died of ‘Senilel Debility’ and ‘Pulmonary Congestion’ on the 21st August 1898. John Ferres was buried in the Melbourne General Cemetery two days later by the Independent minister Revd A. Gosman. John’s father Robert Ferres died when he was very young, so who trained him as a printer? How could his mother have afforded John’s apprenticeship costs? Were there other family members (uncles or cousins) who were also printers? What was the Bath City Lodge? Why did he decide to emigrate to Australia? That is amazing. I would love to see a copy of the certificate if that is possible.